Cellist Karen Becker is an active soloist and avid chamber player. She has performed throughout the United States as well as in Europe and Mexico. In addition to serving as faculty artist with the Red Lodge Music Festival in Montana and the Omaha Conservatory of Music Institute, she has also served as artist faculty with the Ameropa Chamber Music Festival in Praque (Czech Republic). In Prague she performed in a series of concerts in various venues throughout the city, such as the prestigious Suk Hall at the Rudolfinum, Martinu Hall at the Academy of Music, and the Hall of Mirrors at the Klementinum. Becker has recorded for several PBS documentaries and with several bands, including Bright Eyes. She tours regularly as a soloist and chamber player and is a member of the Concordia String Trio (CST) with violinist Marcia Henry-Liebenow and violist Leslie Perna. Centaur Records released CST’s CD Viennese String Trios in August 2017 and their second CD, American Vistas, was released in August 2018. She is a former member of Trio Nuovo and the Omega String Quartet, and served as principal cellist of both the Melkus Ensemble and the International String Orchestra. Becker has appeared as soloist and principal cellist with the Texas Cello Choir at national conventions as well as on “Front Row Center,” a Texas Public Television program. In October 2017 Dr. Becker gave the California premiere of Laurence Sherr’s Sonata for Cello and Piano: Mir Zaynen Do! as part of Daniel Pearl World Music Days; the same sonata for which she gave the world premiere at the University of Nebraska in 2015. She is a regular featured artist on American Public Media’s Performance Today. An active member of the American String Teachers Association (ASTA), Becker has served as a past president of both the Nebraska and Missouri chapters and has presented at numerous ASTA National Conferences, including those held in Atlanta, Georgia; Kansas City, Missouri; Reno, Nevada; Providence, Rhode Island; Salt Lake City, Utah; and Albuqurque, New Mexico. She has been on the planning committee for ASTA National Conventions and served on the organization’s committees at the national level. She is a recipient of the ASTA Citation for Leadership & Merit. As a string educator, Becker enjoys serving as a cello clinician and master teacher for cellists of all ages. She has worked with young musicians as a guest conductor and clinician and in Lincoln as former director of the Junior Youth Orchestra, part of the Lincoln Public Schools youth orchestra program. She has conducted several orchestras in the University of Texas String Project and has appeared as guest conductor/clinician for honors orchestras in Iowa, Illinois, Kansas, Missouri, Nebraska, and North Carolina. Becker received her Doctor of Musical Arts and Master of Music degrees from the University of Texas at Austin and the Bachelor of Music degree from Ohio University. Her teachers have included her father David Becker, Leighton Conkling, Roger Drinkall, and internationally renowned string pedagogue Phyllis Young. She has served as cello professor on the faculty of Truman State University and as String Project teacher at the University of Texas. 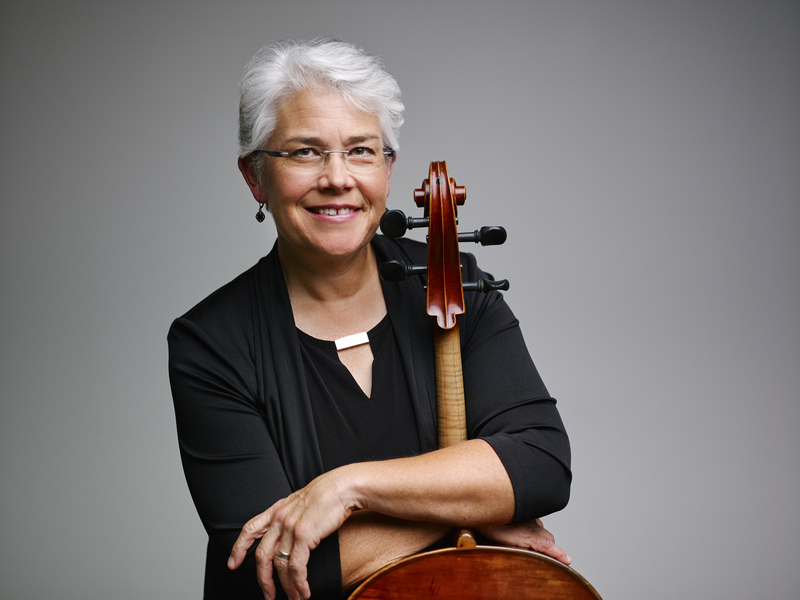 Currently, she is Professor of Cello at the University of Nebraska-Lincoln, principal cellist of Lincoln’s Symphony Orchestra and director of the University of Nebraska and Lincoln Public Schools String Project. An avid cyclist, she enjoys endurance cycling and participating in century rides.